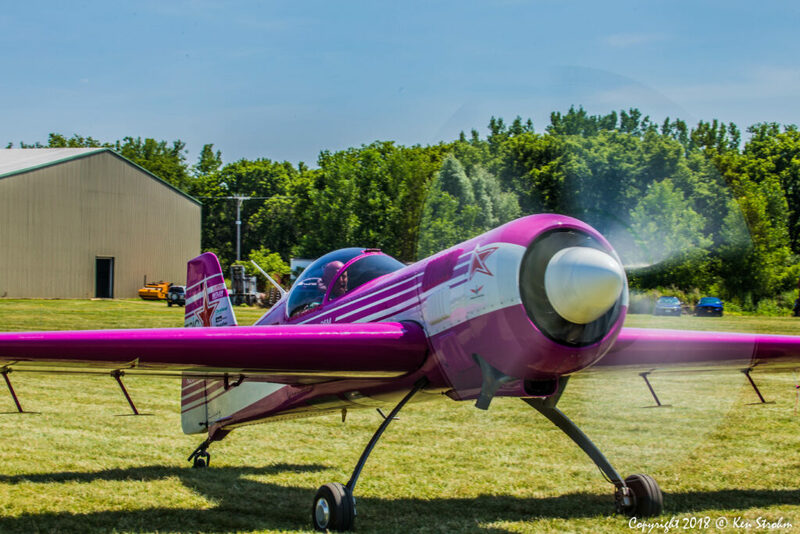 The 2019 Geneseo Airshow will be on July 13th and 14th 2019. We will be posting acts and participants as they are confirmed. Online tickets sales are on the way! Keeping checking for updates. See the aircraft which defines close air support in the modern battle field. The A-10 Thunderbolt II is the go to aircraft to call when ground forces request close air support. 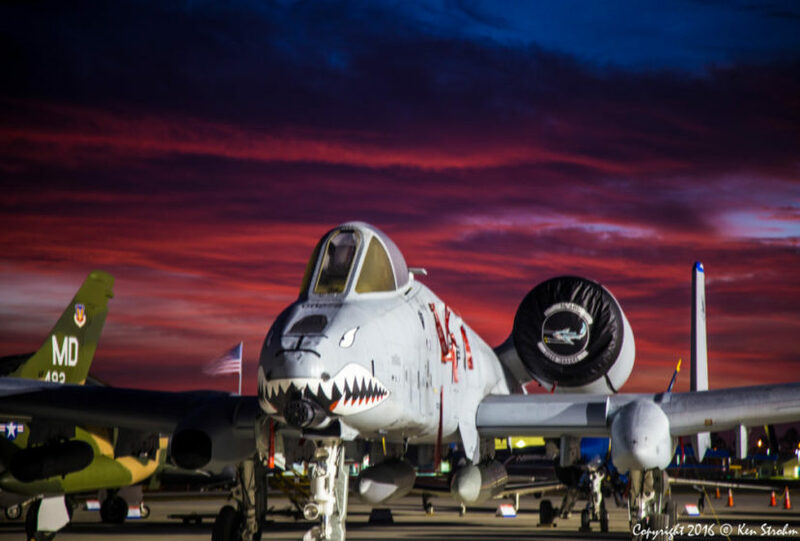 With it’s rapid fire cannon and excellent combat maneuverability and resiliency when taking fire the A-10 is regarded as the best close air support aircraft in the world. The North American B-25 Mitchell was an American twin-engine medium bomber manufactured by North American Aviation. Allied air forces flew it in every theater of World war II, and it was used my many other air forces after the war, seeing service across four decades. Named in honor of General Billy Mitchell, a pioneer of U.S. military aviation, the B-25 is the only American military aircraft named for an individual. By the end of its production nearly 10,000 B-25s, in numerous models had been built. These included a few limited variations, such as the U.S. Navy’s and Marine Corps’ PBJ-1 patrol bomber and the U.S. Army Air Forces’ F-10 photo reconnaissance aircraft. The B-25 first gained fame in the Doolittle Raid, in which 16 B-25B aircraft, led by the legendary Lt. Col. Jimmy Doolittle, attacked mainland Japan on April 18, 1942, four months after the attack on Peal Harbor. The mission gave Americans a much needed lift in spirits and alarmed the Japanese, who had believed their home islands were inviolable. While the amount of damage was relatively minor, the mission forced the Japanese to divert troops for home defense for the remainder of the war. The SU26M remains one of the most capable unlimited aerobatic designs to date, limited only by their shrinking numbers. In the hands of Rick Volker, this aircraft can do maneuvers that other planes can not duplicate, due to a combination of a wing made for high lift at extreme angles of attack and a huge propeller that provides a 1:1 ratio of static thrust. Rick exploits these traits to demonstrate complex signature maneuvers that defy description: Giant cartwheels, rolling loops, horizontal tail slides, and many others that will give the crowd a demonstration of flight that they will never see anywhere else. 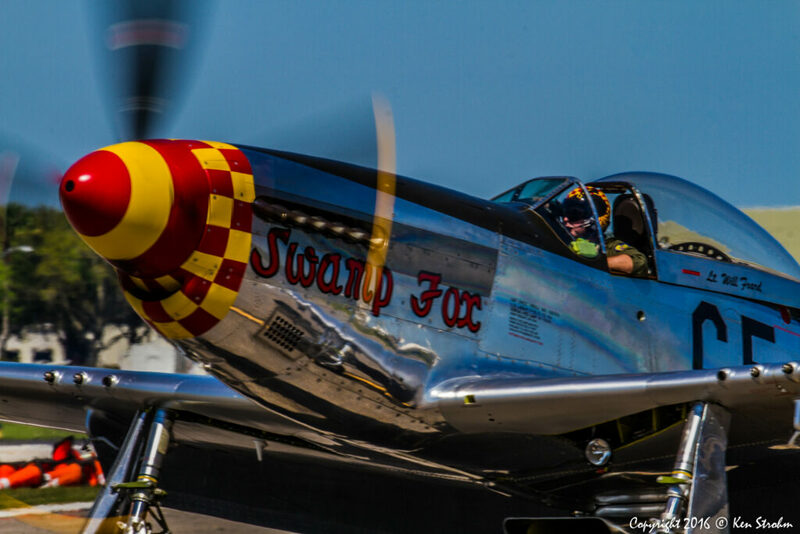 Swamp Fox is a beautiful plane both in the air and on the ground. She’s a living tribute to memory of Lt. Will Foard. Native to the Carolina’s and in keeping with the mission to honor the everyday service person, owners Robert and RT Dickson wanted to honor a local WWII hero and decided to have the newly restored Mustang painted as Will Foard’s last mount 44-15660 “Swamp Fox” C5-A, 364th Fighter Squadron, 357th Fighter Group, 8th Air Force, based out of Leiston, England. Lt Col Will Foard, USAF (ret), then a young USAAF Lt, grew up in the Carolina’s. Since he was flying and fighting out of England, Will thought it would be funny to name his plane after the famous American Revolutionary hero from South Carolina, Col Francis Marion. Marion was hated by the British and gave him the moniker “Swamp Fox”. 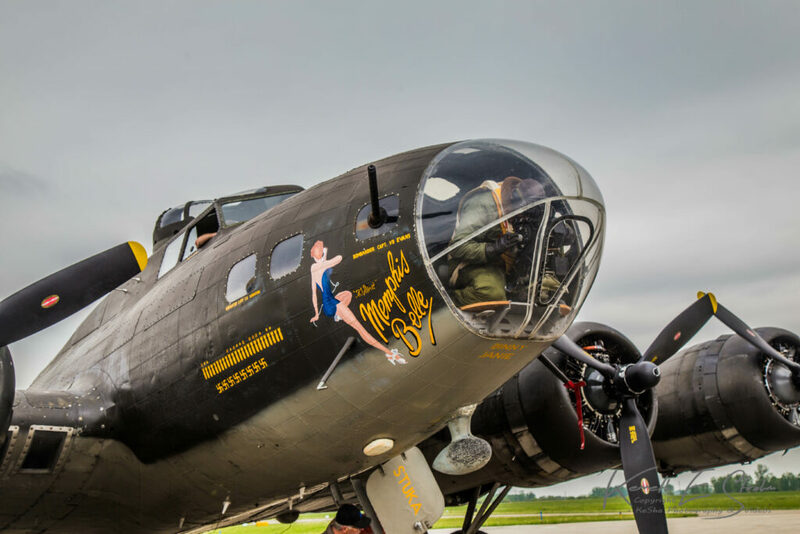 Please join us for a flight into history aboard the famous B-17 Flying Fortress “Movie Memphis Belle” at the National Warplane Museum’s Geneseo Airshow. Take your position and experience first-hand what it may have been like to be a bombardier, waist gunner or flight engineer on a mission over Germany during WWII. 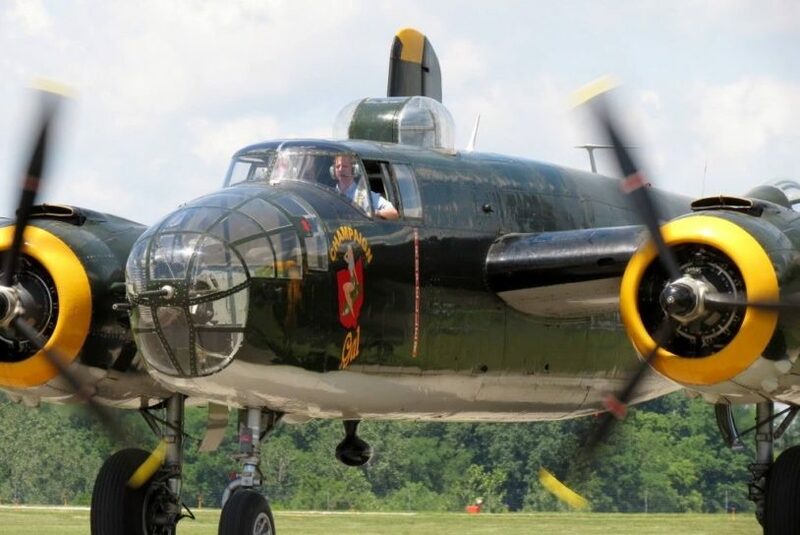 This is a once in a lifetime opportunity to experience the sights and sounds of a WWII Heavy Bomber made famous by the aircraft’s starring role in the movie Memphis Belle. 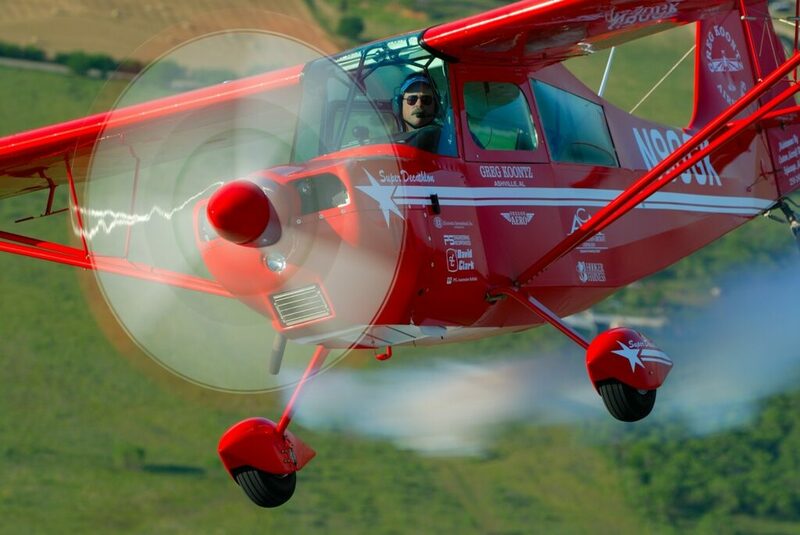 Greg Koontz has been performing in airshows since 1974, when he joined Col. Moser’s Flying Circus and learned his trademark maneuvers from the best in the business. This airshow season, Greg returns to his roots to bring back good old-fashioned family entertainment in the best flying circus tradition! With TWO complete airshow acts, Greg Koontz and the Alabama Boys are a complete airshow package! 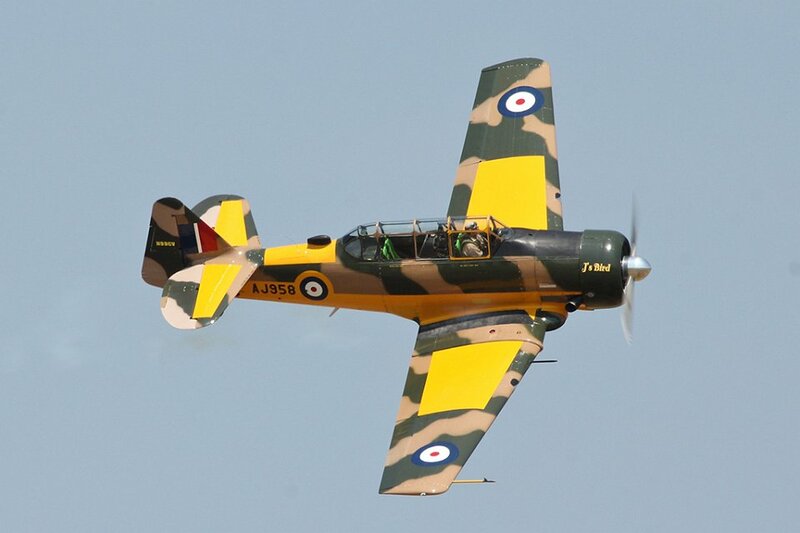 John “Skipper” Hyle is the owner and operator of this 1952 North American Harvard Mk. IV “J’s Bird” which is available for airshows, flybys, formation and films. JayMatt Aviation dba “Air Corps Aerobatics” provides a living history bent to your airshow, we come in period flight gear and perform an act based on the World War II Acro Check that every Allied pilot took in the T-6, SNJ, or Harvard.